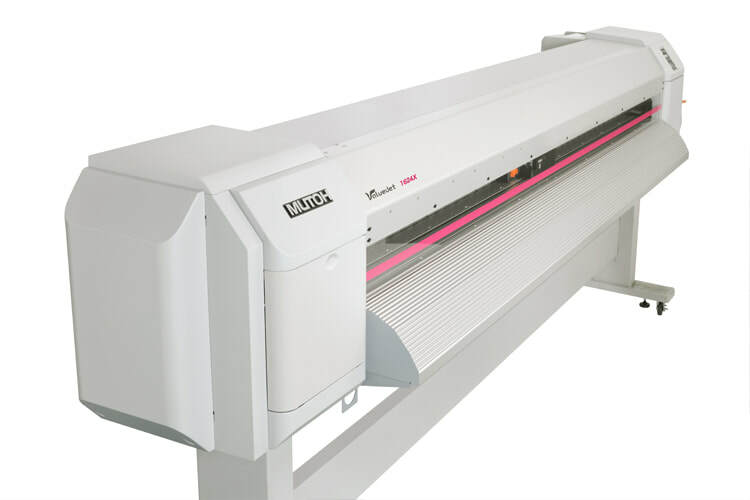 Mutoh Valuejet 1624X - Recognition Systems, INC. The Eco-Ultra ValueJet 1624X’s technological advancements set a new standard for large-format printers. Utilizing a state-of-the-art print head, this exciting new ValueJet gives you unsurpassed print speeds for a printer in this price range. ​Create vehicle wraps, indoor and outdoor signage, banners, decals and stickers, trade show graphics, wall decals and much more, efficiently and quickly. The "Wrappers Choice" delivers incredible speed and performance.